We’re huge fans of spicy food, and we’re really fortunate in Japan because it’s relatively easy to find asian food, from Indian curries to Chinese tan tan men. They mostly lean towards authentic, but of course, some are (way) better than others. 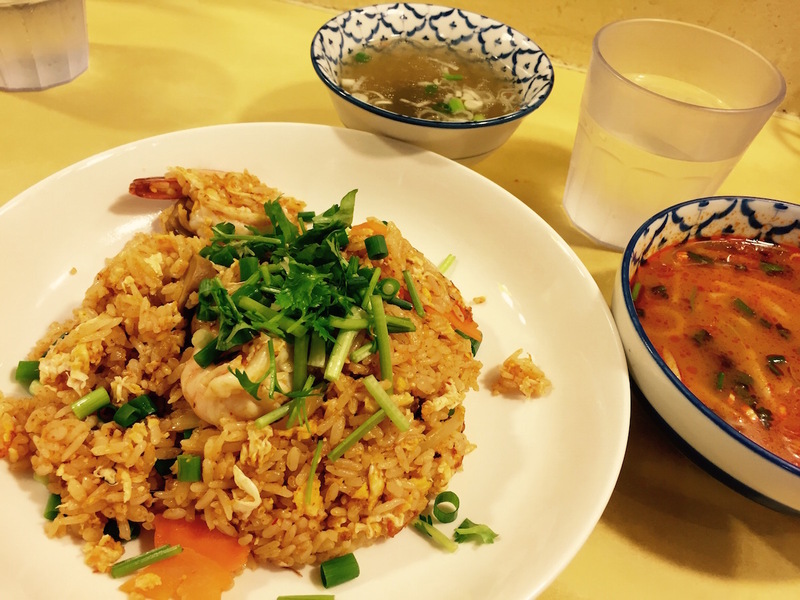 When it comes to authentic Thai food, our hands-down favorite is Tinun in Shibuya. 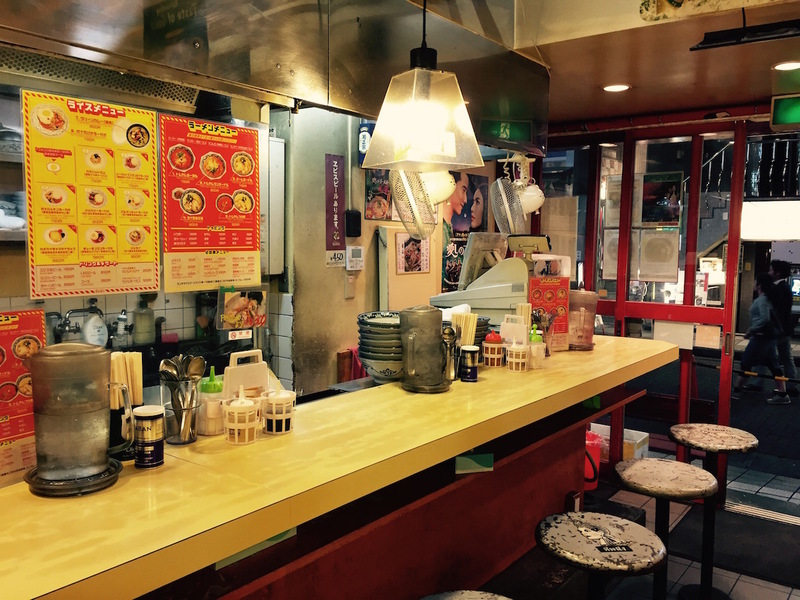 Located right beside Keio Inokashira Line’s Shibuya Station, this hole-in-the-wall place barely seats twelve, and is usually packed during lunchtime. It’s not a place to sit down for a long business lunch – it’s more of an eat and run kinda deal. But who cares, when the food is so scrumptious. Honestly, the only thing we ever eat here is the gapao. 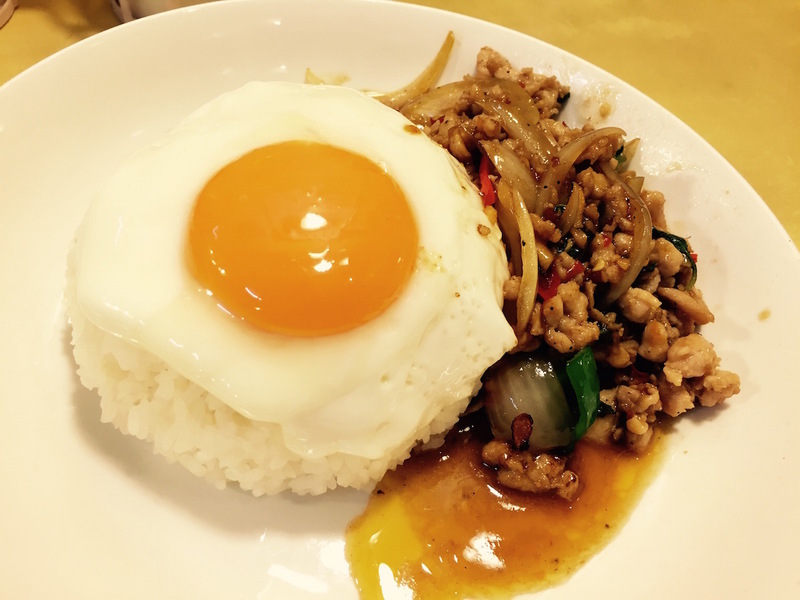 We’ve tried many other Thai restaurants, but none of them come even close to Tinun’s. It’s unapologetically spicy and so, so satisfying. 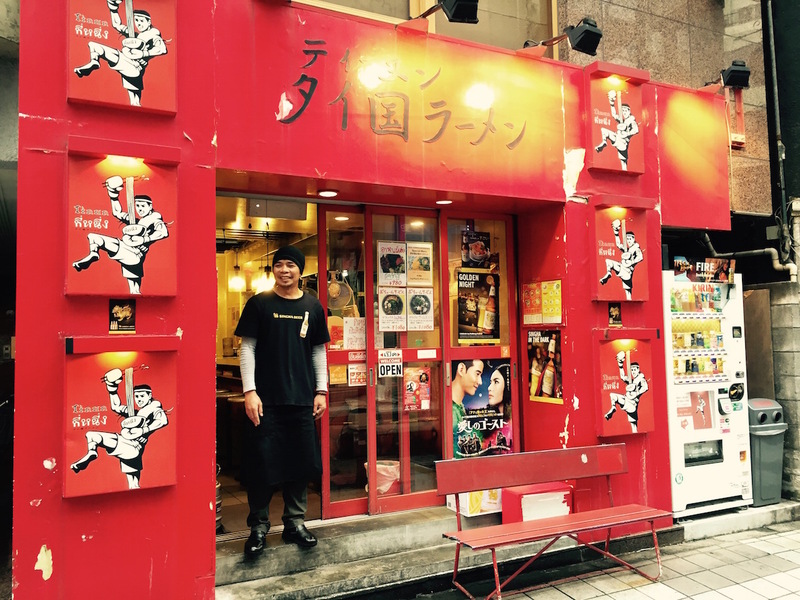 The price is right too, at under 1,000 Yen for most dishes on the menu. Whenever I pass by Shibuya I always make it a point to swing by for my fix. 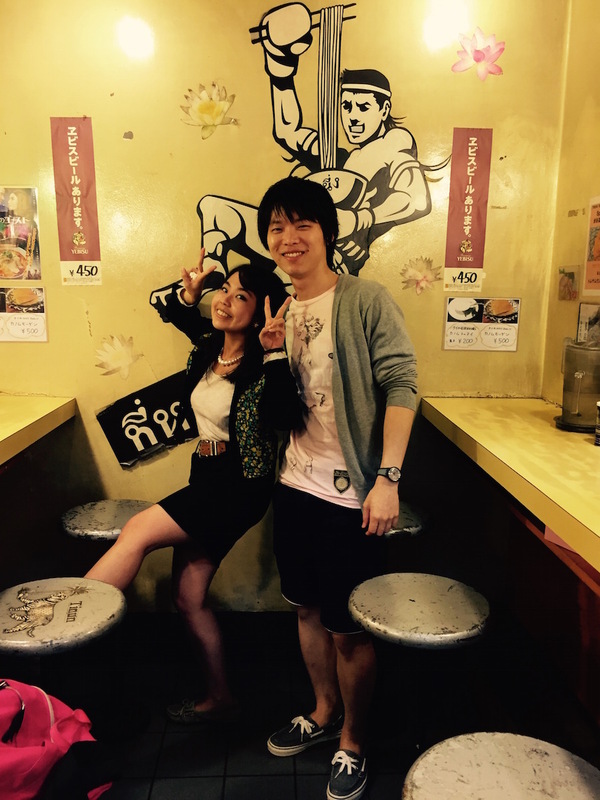 Like me, most of the customers are regulars – they shout out their order right as they walk in (gapao kudasai!). And that’s always a good sign. The green curry is also excellent, as are the noodles, which is actually what they’re famous for. The only niggle I have is that they used to serve pure Thai rice, but recently changed to a mix of jasmine and Japanese. Although at those prices, I can’t complain. 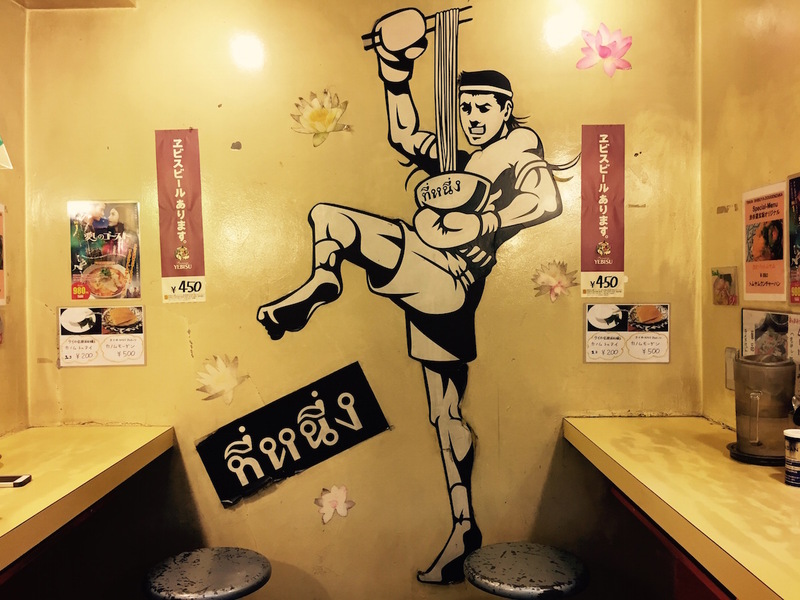 The next time you get a craving for some delicious, no-fuss Thai food in Shibuya, Tinun is your ticket.